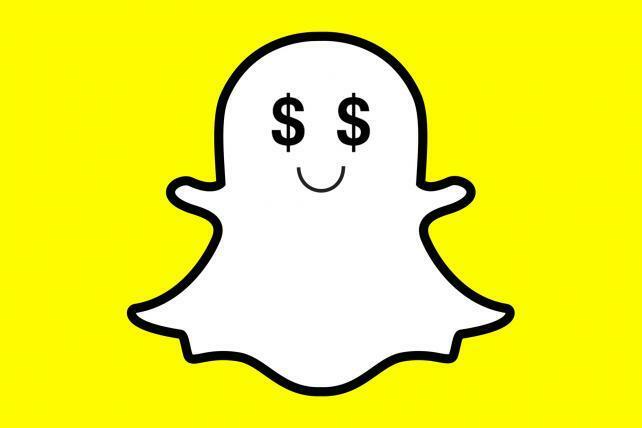 Snap Inc. is figuring out how to squeeze more revenue out of a stagnant user base. The company, maker of the photo-messaging app Snapchat, reported $389.8 million in fourth-quarter sales, exceeding the $377.5 million average analysts' estimate. Though Snap failed to add any new users since the prior period, the steady numbers are a victory considering that analysts projected the amount of people using Snapchat daily would shrink. The company said it's "cautiously optimistic" that users will remain level again this quarter. The stock surged more than 20 percent in late trading. Snap said it has been able to add more advertisers using its automated advertising tools, increasing demand and therefore boosting prices for promotions on the mobile app. After a volatile year of executive departures, a redesign that outraged some users, and problems with the Android version of Snapchat, Chief Executive Officer Evan Spiegel is working to make the most of the social-media platform and trying to grow the still-unprofitable business into something more sustainable, he told investors Tuesday in remarks prepared for the earnings report. "Any constructive news out of Snap will be well-received by the market," Brian White, an analyst at Monness Crespi Hardt & Co., said in a note to investors, explaining that no other stock he covers has faced more investor skepticism. Shares climbed as high as $8.63 in extended trading, after closing at $7.04 in New York. Santa Monica, California-based Snap has lost more than half its market value since a March 2017 initial public offering. In the fourth quarter, 186 million people used the app daily, Snap said in a statement. That's down from 187 million in the same period a year earlier. Sales jumped 36 percent from the year-ago quarter's $285.7 million. The company's net loss in the recent period narrowed to $191.7 million, or 14 cents a share. Excluding certain items, the loss was 4 cents, smaller than the 8 cent per-share loss predicted by analysts. Snap said first-quarter sales will be $285 million to $310 million, compared with an average analyst projection for revenue of $306.3 million, according to data compiled by Bloomberg.